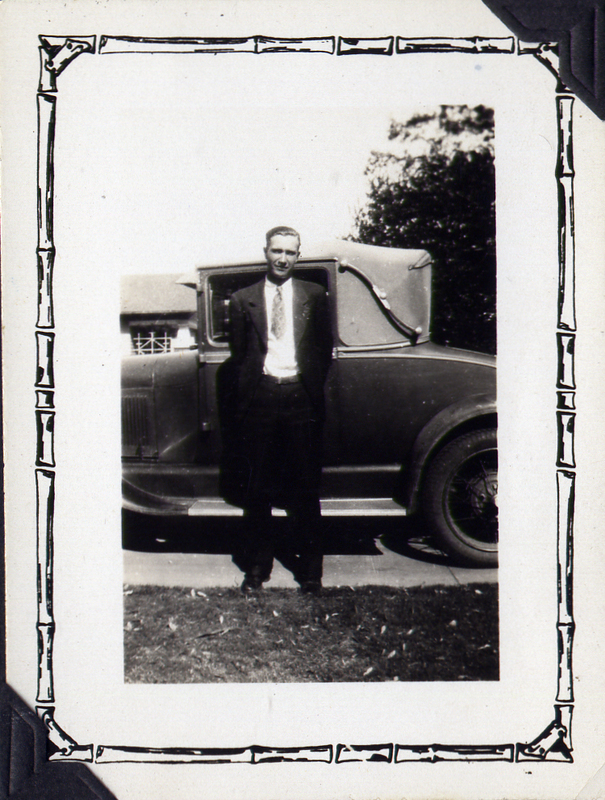 My Grandmother Ottie began working at Woolworth’s in Enid, Oklahoma after her father died in November 1925. While working there she met Pearl Brown and her brother, Claude. 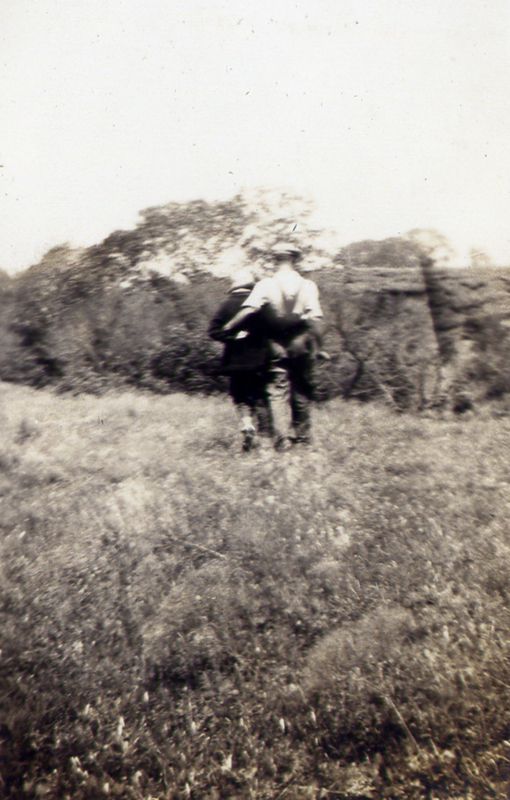 Sometime in 1927 Claude and Ottie began dating and Ottie kept a photo album of some of the places they went and things they did while they dated. Here is a sample from that album. 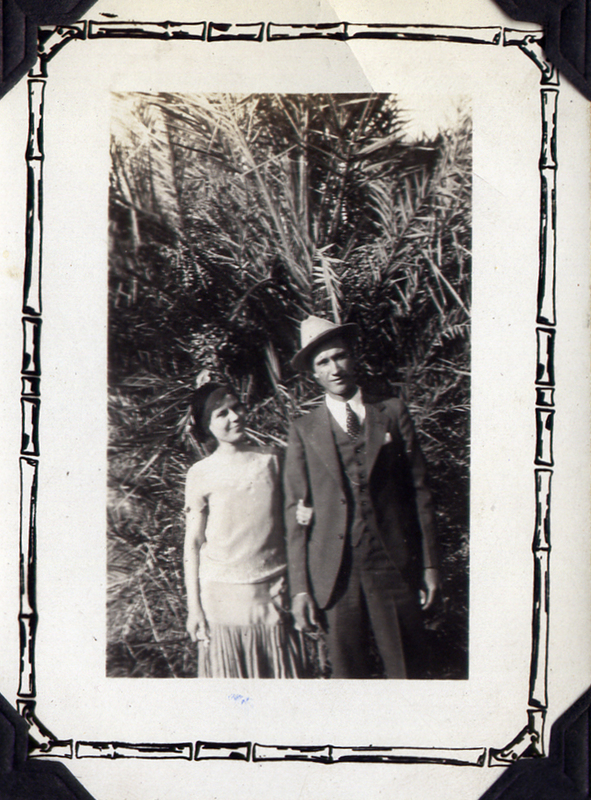 In October 1930 with Claude’s cousin Louie Reddick and his wife, Frankie, present Claude and Ottie were married. 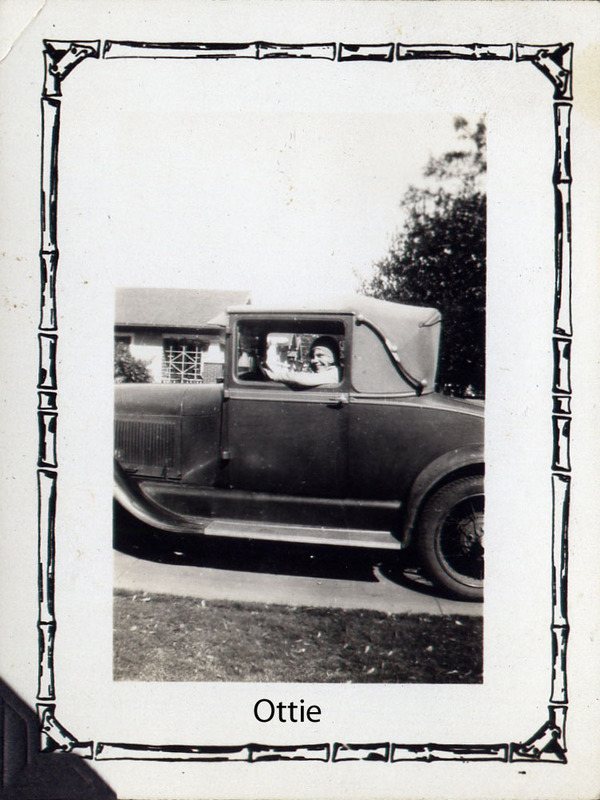 For their honeymoon, they drove to Phoenix, Arizona and Ottie recalled that “I had never been anywhere in a car before. 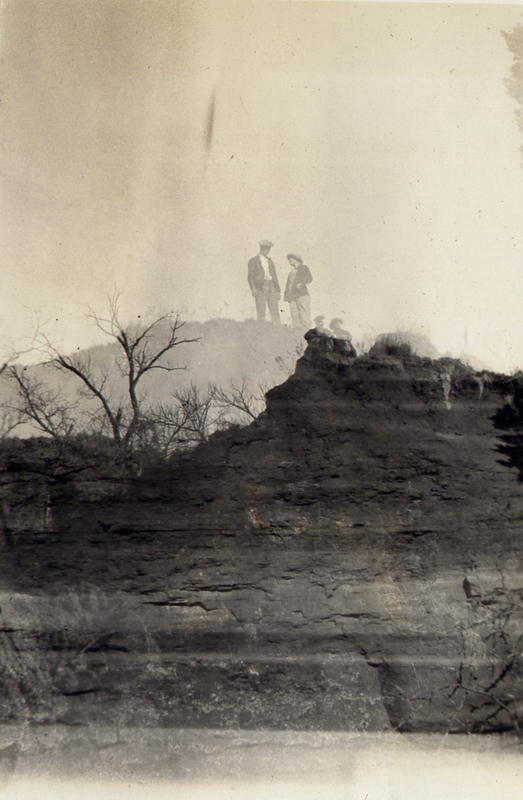 And I was so afraid that we would be lost that I carried the map right along with us.” While they were in Arizona they visited Ottie’s mother and sisters. Ottie in the driver's seat but she never did learn to drive. Their car, wonder what kind it is? Claude and Ottie were married for 57 years when Claude died in 1987 in Oklahoma City. Actually Mom (Ottie) did learn to drive because I taught her. That’s right, I was 16 and had just got my drivers license. Mom and I had talked about her driving a lot but she didn’t want any one to know she was learning how to drive. She had told me that when I got my license I could teach her so I did. We never left the confines of the pipe yard but we did stretch the limit a little. You see most of the area was gravel but on the west side of the yard the gravel road turned into a brick street (BRICKTOWN) that ran past Scrivener Stevens and the National Biscuit co. (the building that has the U-Haul truck on top now). Once mom was comfortable with shifting (everything was manual shift) she did venture onto the brick a few times. 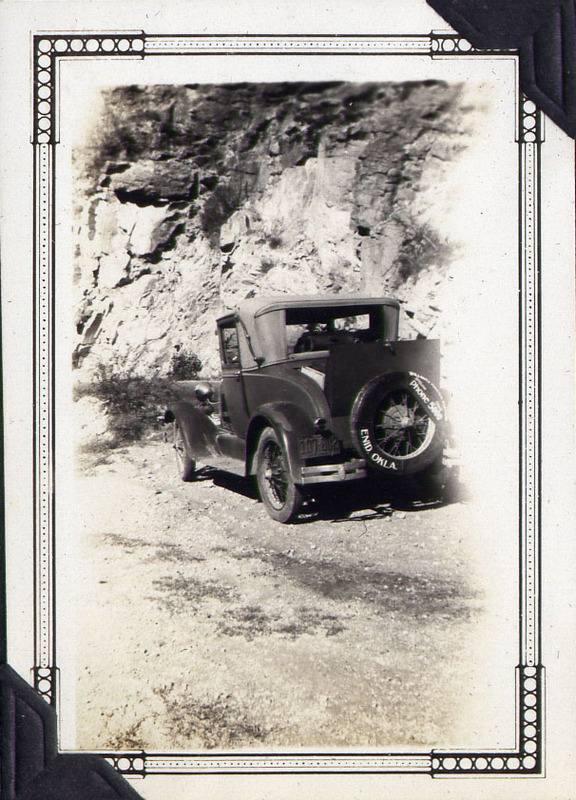 After going west a little she would turn around and go back to the gravel street (se2nd) She was a good driver, slow but deliberate, (no power steering then) I tried to get her to go take her test but she shrugged her shoulder and shook her head no. So there is the real truth Ottie could drive. It simply made her nervous to be on the city streets therefor she never was a lessened driver. Wayne Brown her loving son April 21, 2013. I do remember hearing that she had driven before but not all those details. Dad, I’m so pleased to have your contributions!